Filters Fast carries pool and spa filters compatible with Advanced Spa products, as well as other brands, on our website. Pool and spa water filtration systems usually require the help of filters to clean out sediment and sand. Filters Fast carries pool and spa filters compatible with Advanced Spa products, as well as other brands, on our website. 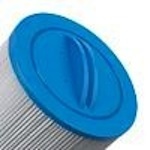 The Filbur FC-3091 is the compatible replacement filter for the Advanced Spa FC-3091.